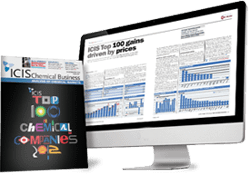 The reliable and trustworthy ICIS Oxo-alcohols report is covered weekly in Asia, China, Europe and the US. All four regions have price assessments gathered by our locally-based reporters that focus on market movements on n-butanol, iso-butanol, 2-ethylhexanol and dioctyl phthalate. 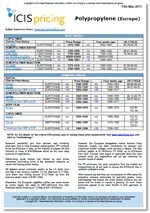 Europe also has a spot quote for diisononyl phthalate (DINP). 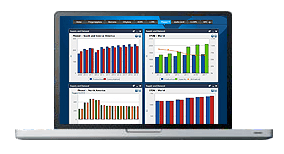 The commentary gives additional background information on the factors influencing prices, such as demand and supply, import/export data, graphs and feedstock movements. This invaluable tool can be used to support you in making those crucial commercial decisions. Supply for 2-ethylhexanol (2-EH) and n-butanol (NBA) was generally stable in Asia during Q1 2019. Nan Ya Plastics, however, suffered an unplanned outage at its 2-EH plant in Mailiao, Taiwan on 12 February. The 220,000 tonne/year unit eventually restarted around mid-March. Bulk spot supply for 2-EH from Japan was fairly stable during Q1 while a South Korean producer said they only were smaller spot parcels available. In the NBA market, there were some deep-sea cargoes available, which dulled market sentiment in southeast Asia. Demand for 2-EH was generally stable but one main buyer decided to lower its dioctyl phthalate (DOP) unit run rate during the Lunar New Year period as demand for plasticizers was poor during that time. Demand for NBA began to improve in late February in northeast Asia as downstream demand in China was showing some signs of improving. The story was slightly different in southeast Asia as availability of deep-sea cargoes, coupled with a downstream turnaround hurt spot demand. Although BASF remained on force majeure for isobutanol (IBA) out of Ludwigshafen, Germany, in the first quarter, supply was more than sufficient to cover demand in Europe. All other units were running to plan, with no major maintenance planned. Supply of n-butanol (NBA) and 2-ethyl hexanol (2-EH) was also more than sufficient in Q1 2019. There were quite a few export opportunities seen for 2-EH which helped to balance the market in northwest Europe. The restocking sometimes seen in January was not in evidence, with demand fairly slow to start the year, but slightly improved from Q4 2018. Buying patterns were disrupted by a lack of consumer confidence and the global macroeconomic situation, though internal demand to downstream products such as butyl acetate and glycol ethers was said to be reasonable. However, the automotive sector continued to perform relatively poorly in Q1 2019. Spot buying interest was quite thin, with demand largely covered by contractual obligations. US oxo-alcohols supply was stable, and mostly balanced with tepid demand during the first quarter of 2019, mostly on a harsh winter and a market slow to recover from a weak fourth quarter 2018. Amid fundamentals including an economic slump in overseas regions and the US automobile industry, supply was ample throughout the quarter, with little pre-buying ahead of a planned maintenance outage at a producer’s complex in Texas, set to begin in mid-April. First-quarter oxo-alcohols demand was practically unchanged from the previous quarter, with mostly low buying interest despite active restocking noted by one producer. Typical demand during the run-up to the US spring paint and coatings season, which peaks in the second quarter, was impeded by several factors including extreme low temperatures and record rainfall in much of the US, contrary to earlier forecasts. Additionally, coatings demand from new construction continued to struggle amid general economic headwinds. We offer the following regional Oxo-alcohols analysis and news coverage to keep you informed of factors and developments affecting prices in the Oxo-alcohols marketplace. The oxo-alcohols chain consists of n-butanol (NBA), isobutanol (IBA), and 2-ethylhexanol (2-EH). Around 50% of 2-EH is used to make plasticisers, mainly dioctyl phthalate (DOP). DOP is a plasticiser, which is material used for plastic, typically polyvinyl chloride (PVC) to enhance its flexibility and malleability. Di-isononyl phthalate (DINP) is also a plasticiser. NBA is a feedstock for butyl acrylate and methacrylate, butanol-based glycol ethers, butyl acetate (butac), and some plasticisers. IBA is used as a solvent for nitrocellulose, in hydraulic fluids, and as a resin modifier. Key drivers for oxo-alcohols are the construction industry (home and commercial), the appliance industry, the automotive industry and industries that need imperial coating material. In addition, the alcohols NBA, IBA, and 2-EH have some uses just as solvents. Health risks include irritation to the eyes, skin and respiratory tracks when inhaled. In Europe DOP has been re-labelled to a higher-risk category, featuring the skull and crossbones on packaging and machinery where it is used. DINP remains in the category below but is under investigation.